Estate Planning Attorney in Arlington and Washington, D.C. In the estate planning process, an individual typically selects one or more arrangements that provide for management of the individual’s estate during his or her life and disposition of the estate on death. Those arrangements may include, but are not limited to, durable powers of attorney, wills, trusts established under wills, revocable, living trusts, credit shelter trusts, trusts for minors, irrevocable life insurance trusts and various other types of trusts. Estate planning requires collaboration between an individual and an attorney in the planning and execution of a series of steps. Important steps normally include collection and review of relevant information, identification of the objectives to be accomplished, formulation of an estate plan and the preparation and execution of documents required to implement the estate plan. An individual’s attorney must take into account all information that may assist the attorney in selecting and designing the components to be included in the individual’s estate plan. Relevant information includes information about the individual’s estate, the persons selected by the individual to receive assets on his or her death and the individual’s estate planning objectives. Implementation of an individual’s estate plan requires execution of appropriate documents. Individuals generally use a will as the document governing the distribution of assets to beneficiaries on death. An individual’s will should address a number of different issues. The preparation of an individual’s will may require an analysis of alternative, possible sets of circumstances that could arise at the time of the individual’s death. An individual needs an understanding of basic characteristics of wills to make informed decisions about issues that his or her will should address. One important characteristic of wills is that wills are revocable. 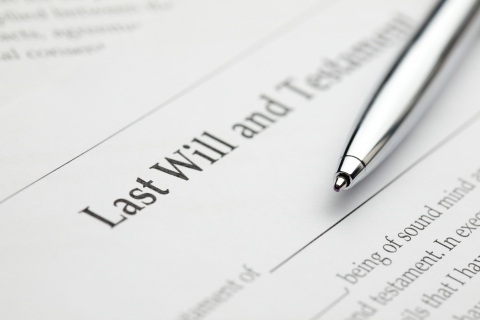 In other words, an individual who writes a will (the “testator”) may generally revoke his will at any time because a will does not become effective until the individual’s death. However, an individual who is mentally impaired and unable to comprehend essential components of a will does not have the legal capacity to revoke a will or make a new will. For more detailed information on wills, please see Wills. A trust is an arrangement under which one person, referred to as the “trustee,” holds title to certain assets and manages and distributes the assets for the benefit, use and enjoyment of one or more specific individuals. Persons entitled to benefit from trust assets are referred to as “beneficiaries.” The person who creates the trust provides the directions that govern the management and distribution of trust property. For more detailed information on trusts, please see Trusts. In general, an individual may use either of two alternative approaches in creating a comprehensive plan for the disposition of assets on his or her death. First, an individual may adopt a plan that relies on a will to provide for the disposition of assets on death. Second, an individual’s estate plan may rely primarily on a revocable, living trust to provide for disposition of the assets. For more detailed information on revocable living trusts, please see Revocable Living Trusts. Contact the Law Office of James D. Fife today to schedule an appointment about estate planning and which instrument will best achieve your desired results. The Law Office of James D. Fife provides estate planning and probate administration services, as well as business law planning, to clients in Arlington, Alexandria, Fairfax and Prince William, Virginia and the greater Washington, D.C. metropolitan area.